ONe Social Network based on blockchain is a giant leap forward in the permissioned use, ownership and control of personal data as well as other privacy considerations. 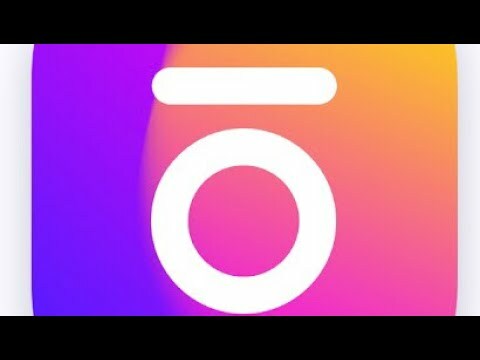 Adding to the platform other features such marketplace, image editing and video sharing, content creation and distribution, all facilitated with rewards/services/purchases using Onebit (OBT) token as a “means of exchange” or payment is innovative and pioneering at the same time. Returning the ownership and control of personal/private date is a paradigm shift in social media and the ONe network is taking big steps to give social media users all the tools available to decide what happens to their personal data, posts and contents. This forward-looking vision of it’s founders and their innovative social media blockchain project definitely deserves a 5 star rating. The team and board advisors is rather thin and should be complemented with some more developers and social media experts as well as some key advisors in different areas of expertise. For some reason, the LinkedIn profile of the CEO is “not available” - whether this is temporary or due to an error on the LinkedIn platform is not clear - however it prevents me to gather more information on the CEO and founder of the ONe Social Network which I consider a crucial criteria to judge and asses the team. On a positive note, the project and team are backed and supported by professional and very experienced ICO advisers which includes high-calibre and top advisors such as David Drake, Ian Scarffe and Mikkel Thorup. The team and advisers are therefore rewarded with a 4 star rating. For some strange and inexplicable reason, Facebook with its 2 billion users is not even mentioned as a “competitor” which is a big minus point. Disregarding or ignoring the “big elephant the room” is counter-productive because for sure, Facebook has already assembled a stellar team of data scientists and blockchain experts to enter the blockchain era without sacrificing profit or surrendering market share and Facebook will be a formidable competitor to contend with. Which brings us to the next challenge, networks effects and achieving critical mass. There are already so many other social media platforms - some very successful and some much less - so at this this point there is an over-saturation of social media platforms and because of that alone, it is going to be very challenging to sign up users. On the other hand, once the platform is “up-and-running”, it could be the exact opposite, social media users that value their privacy above all could flock to the ONe Network platform in droves and thus enable organic growth and for the ONe network to achieve critical mass and great success in a very short period of time. And last but not least, the GDPR paradox and dilemma, in particular with regards to Article nr 17 “The Right to be forgotten”. The immutable and irreversible fundamental design of blockchain means that any private and/or personal data once entered on blockchain cannot be altered, corrected and most importantly mutated or forged (which of course is great to prevent fraud). However, in the social media setting on blockchain, this becomes a major issue and the “work-around” method devised by the ONe team of developers is to work with off-chain and permissioned keys where these private keys are “burned” - if and when necessary - in other to restrict access to particular private data. Interesting and unique solution, however for as long as data is stored in a permissioned DLT or private data “silo” - which hackers call the “honeypot” - there’s always to threat of a cyber security breach or illegal hacking. The white paper describes this challenge in great detail as well as stating that it will undertake all necessary steps with continuous development of safe and secure blockchain protocols, to one day in the future enable the ONe network migrate from a hybrid multi-chain platform to an open and fully decentralised blockchain platform once blockchain technology has further developed and thus enable frictionless scalability. Because of the aforementioned challenges, the product receives a 4 star rating. The project has great potential and with the backing of a solid team, it has the possibility to achieve it’s targets, objectives and milestones as detailed in their very professionally drafted white paper. Wishing the team and their advisers great success and all the best ! Thanks for taking the time to rate us. My linkedin profile was recently changed due to an overwhelming amount of spam. I have updated it here. We do recognize FB as a competitor but in the sense of Privacy and User rights we feel they have long since the party. We will one day choose the right time and place to square off against this behemoth.